A regimen should be individualized on the basis of virologic efficacy (suppression of viral load to less than 50 copies per mL), toxicity, pill burden, dosing frequency, drug-drug interaction potential, resistance testing results, comorbid conditions (such as kidney disease, hepatitis B or C, etc. ), and cost. More details including recommendations for treatment-experienced individuals and those for pregnant women are in the documents from the U.S. Department of Health and Human Services (DHHS) online. AIDSinfo has mobile applications that allow access to federally approved HIV/AIDS treatment and research information and are offered free of charge, including a Guidelines app, at aidsinfo.nih.gov/apps. 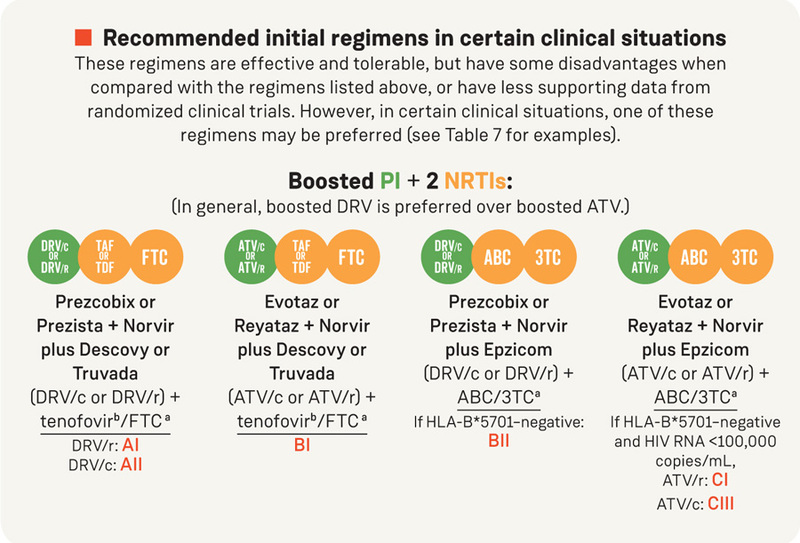 NOTE: At press time, the newest single-tablet regimen (STR), Biktarvy (bictegravir/TAF/FTC), had yet to be added to the guidelines. favorable tolerability and toxicity profiles, and ease of use. These regimens are effective and tolerable, but have some disadvantages when compared with the regimens listed above, or have less supporting data from randomized clinical trials. However, in certain clinical situations, one of these regimens may be preferred (see Table 7 for examples). * Panel on Antiretroviral Guidelines for Adults and Adolescents. Guidelines for the use of antiretroviral agents in HIV-1-infected adults and adolescents. Department of Health and Human services. 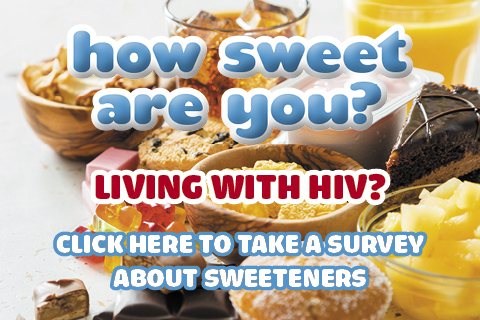 Available at aidsinfo.nih.gov/guidelines/html/1/adult-and-adolescent-arv/11/what-to-start. Accessed January 26, 2018, Table 6.
a. 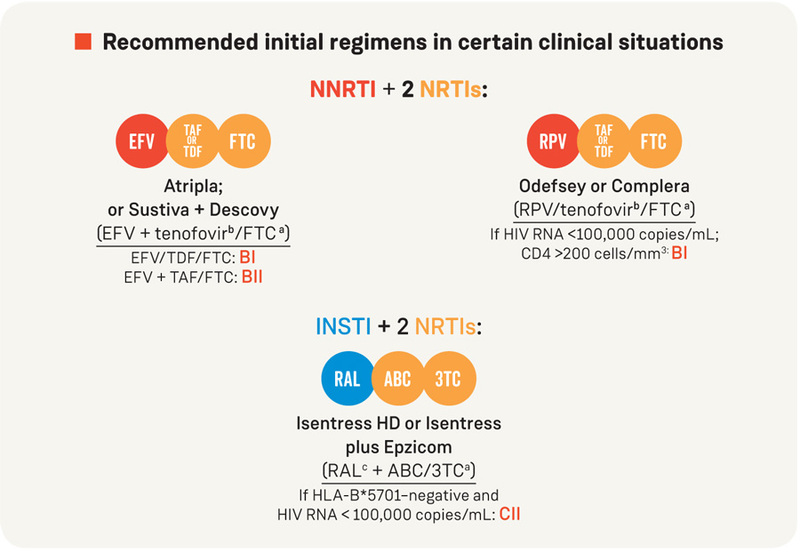 3TC may be substituted for FTC, or vice versa, if a non–fixed-dose NRTI combination is desired. b. TAF and TDF are two forms of tenofovir approved by the FDA. TAF has fewer bone and kidney toxicities than TDF, while TDF is associated with lower lipid levels. Safety, cost, and access are among the factors to consider when choosing between these drugs. c. RAL can be given as 400 mg BID or 1200 mg (two 600 mg tablets) once daily. d. Several other NRTI-limiting treatment strategies are under investigation. See the section titled Selected Strategies That Are Under Evaluation and Not Yet Recommended for discussion regarding these regimens. e. LPV/r plus 3TC is the only boosted PI plus 3TC regimen with published 48-week data in a randomized controlled trial in ART-naïve patients. Limitations of LPV/r plus 3TC include twice-daily dosing, high pill burden, and greater rates of gastrointestinal side effects than other PIs.